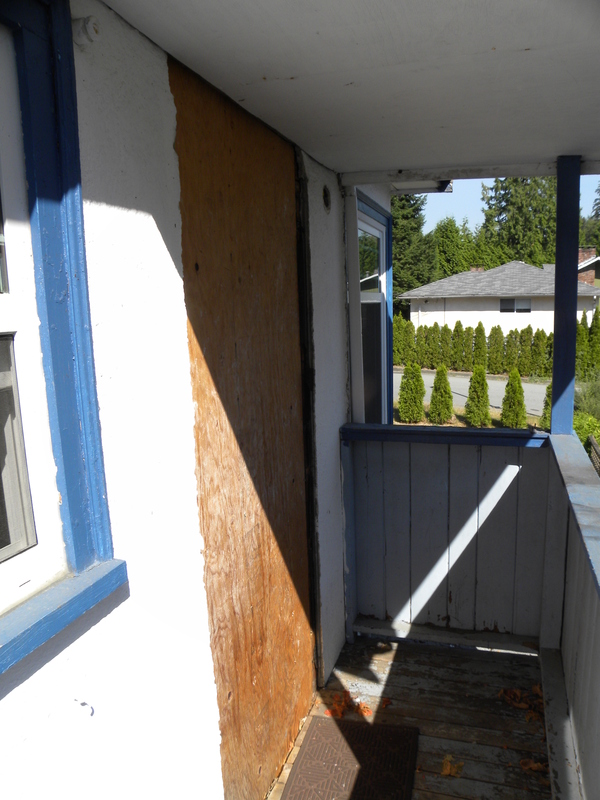 Talkin’ ’bout my …..Renovation… | Damian Trasler's Secret Blog - Do Not Read! ← Work V Childcare : which is harder? This week has been long-awaited. By me, anyway. The Eldest Weasels are off on their first residential camp. They’re probably going up the climbing wall in their kayaks right now, or practicing archery as they jump off the pontoon into the lake. Tiniest Weasel is too tiny to attend, so each morning I drive her over to a day camp at the local Heritage Village. (What? You don’t have a local heritage village? Well, if you’re in the UK, you probably live in one…) Anyway, the upshot of all this Weasel Absence is an increased likelihood of me achieving things. On the days when I am not Greeting, I have been rushing off to….The World’s Largest Home Improvement Retailer! Yes, strange but true, because this time I’m going in as a customer. It’s quite a thrill to go in through the main doors, click my fingers at the staff and demand service. I’m going in to work on my days off because the Reno work has stepped up again. We’ve met the man who’s doing our new roof, and it’s going to happen very soon. Trouble is, there are a couple of other jobs that we need to take care of first. We said that we’d demolish the old stairs that lead up to where the back door isn’t. But we can’t do that until we’ve taken down the porch roof over where the back door used to be. 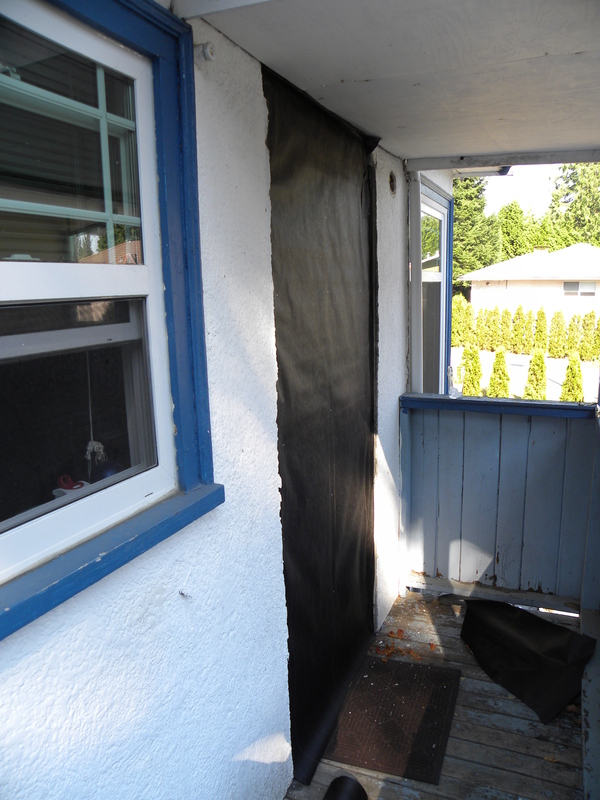 And we can’t do THAT until we’ve plastered over the board that covers the gap that used to be the back door. ***Sub Note: It’s not plastering, obviously. 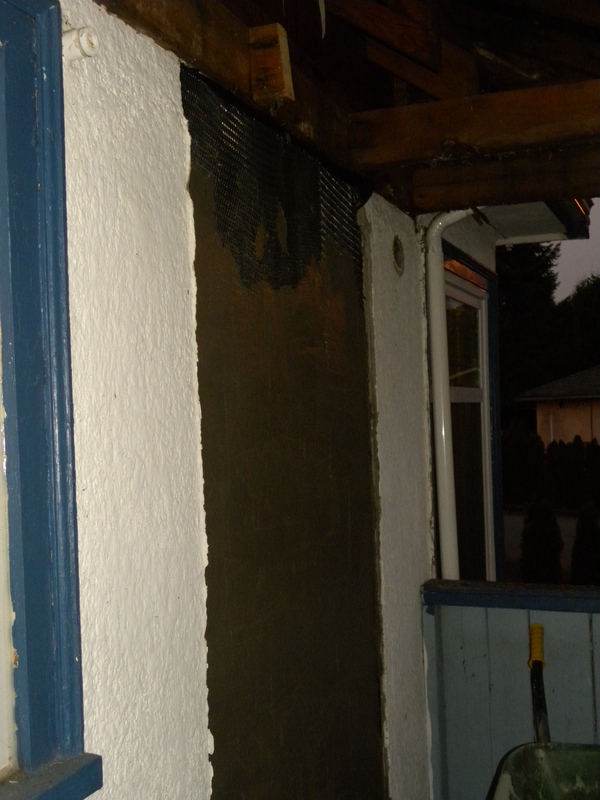 What I should be covering the door with is STUCCO, but I’m not, for several reasons. 1. My store does not sell stucco. 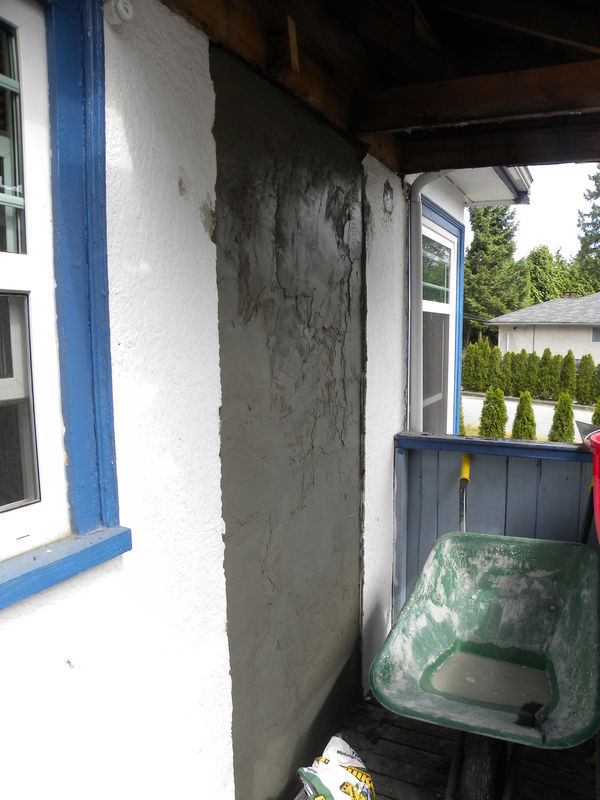 2.The rest of the house seems to be sheathed in some sort of reinforced concrete. 4. I can’t be bothered. Just like wallpapering...with a staple gun! Then I had to cut some wire mesh to the right size and staple that on. I found the easiest way to do this was to catch my trousers, arms and hands on every bit of wire so that I resembled a person who’s just run through ten miles of brambles. I made a note to buy some gloves for the next day, when I wouldn’t be doing anything that needed gloves. So today I swung by work one more time and picked up a couple more bags. Wearing my new gloves I mixed with a stick and got the rest of the door covered and slapped on a second coat. Now I reckon I’m one or two bags away from bringing the door up to the level of the walls, and we can set about demolishing the porch roof for tomorrow. Then I might get around to doing to writer-type work again. On the plus side, the e-book (www.tiny.cc/ghfo9) has been selling again and I’m itching to get back to some older projects. It’s all working with the hands, folks. 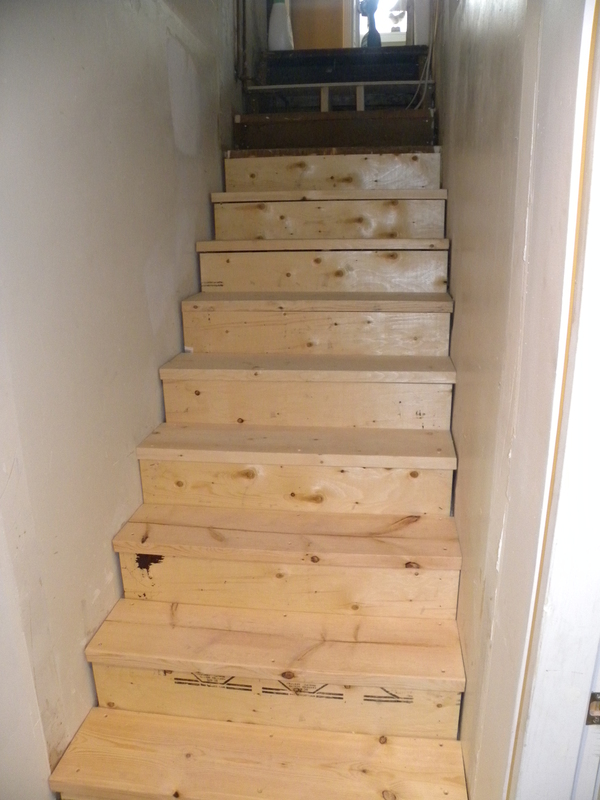 Yes, it's scruffy, but when we take the stairs away it'll also be ten feet off the ground, and who's going to notice? This entry was posted in Emigrating with Weasels, Uncategorized and tagged archery, climbing wall, concrete, demolition, DIY, door, Historical Village, kayak, mixing, plaster, renovations, residential camp, roofing, stairs, stucco, weasels. Bookmark the permalink. Looks like you were pretty busy in the pics above. Learnt a few tips on DIY stuff. Thanks champ.